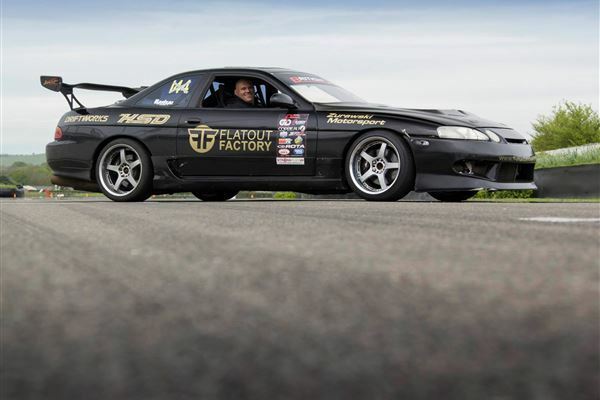 Learn the art of drifting and the skills needed to master this popular sport. After a drivers safety briefing and demonstration from the instructor its time to step into the hot seat and experience the thrill of drifting. You'll be taught the key elements such as weight transfer, balance and throttle control, the art of transitions and complete task such as donuts, and figure of eights. Then it's onto the Game of Drift. This is sure to bring out your competitive side as you drift and try to hit targets with the rear of the car and make it onto the podium. Not only will you get to drive you will also be given 3 hot laps driven by one of the instructors who have extensive backgrounds when it comes to drifting and will show you how it's done! Birmingham Wheels Raceway (Birmingham, Midlands). Vouchers are valid for 10 months from the date of purchase. Please allow up to 3 hours at the venue from arrival to departure. Your drive time will be approx 20 minutes. Non License holders must complete a basic competency test before being allowed to complete activities. This test is also mandatory for license holders who fail to produce their license on the day and cost £20. This is a condition for insurance purposes and is not flexible. Please note helmets are provided. However due to health and hygiene Balaclavas must be worn. Customers are more then welcome to bring their own balaclava or helmet. Balaclavas are £4 to buy on the day. In the case of the event being cancelled due to adverse weather, you will be contacted and be given alternative dates to rebook. Selected weekdays and weekends from January-December. Collision damage waiver for £10 can be purchased on the day. 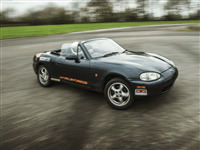 This is optional but drivers will be liable for the first £500 of any damage to the cars if the waiver is not take. Please note helmets are provided. However due to health and hygiene Balaclavas must be worn. Customers are more then welcome to bring their own balaclava or helmet. Balaclavas are £4 to buy on the day. Drive the insanely quick Lamborghini Gallardo at Bovingdon airfield in Hertfordshire. After 4 sighting laps with the instructor its your turn to take the wheel for 10 memorable laps.